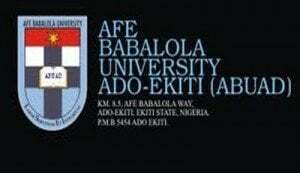 The Afe Babalola University launched her college of Engineering faculty recently, the event of which attracted the Nigerian President Goodluck Jonathan to the school. Mechatronics is a novel and innovative programme offered in only a few institutions at present, though it is an indispensable one in modern engineering and technology. It is an interdisciplinary programme encompassing mechanical, electrical, electronics, computer and control engineering disciplines. Virtually all modern machineries, equipment and instrumentation are combinations of these engineering disciplines, ranging from automobiles, aviation, military hardware, satellite and space technology, robotics, to computer games and toys, etc.